I cant believe how long its been since my last POST ! ! ding arm itching and night sweats that prevent me from sleeping at all anymore. 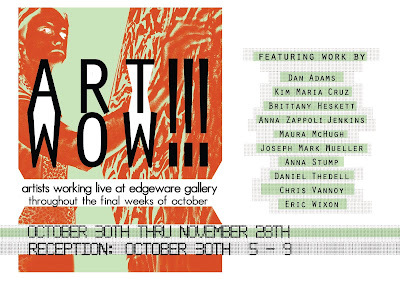 San Diego @ The "Next Door Gallery"
above photo only reflects one kind, I have a few more I am cooking up!! 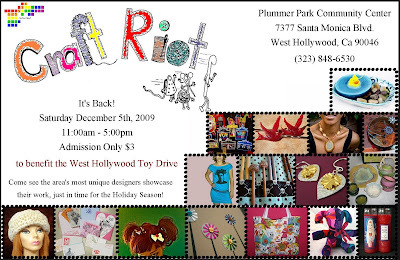 For the first time I am participating in the second annual CRAFT RIOT. I am totally Psyched for this one!!! But I totally have A lot of work to do!!!!! You've been up to so many different things...and you've been so very busy! Keep up the great work and don't worry... we still heart you! Hey there! Your post was so funny! Boy, there's lots of exciting stuff happening in your life! I love your Christmas ornaments, they're so different, and the colors are just beautiful! There you are! Thought Cali had at last fallen into the ocean and I hadn't heard. Funny, you are. Glad to see you back. I think a bit of a brain fog is excusable when you have so much going on! Congrats on being chosen to work with the ARI - important work indeed! Your Christmas Ornaments are gorgeous!